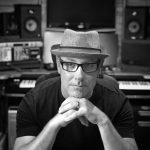 Specializing in Production Music, I am a Canadian based composer, helping independent film producers to large corporations strengthen and enhance their projects, goals and advertising objectives. This is done with creative, inspiring and effective music. Each client has unique needs, it’s my job to understand that and consistently deliver! Now, stepping away from the formal paragraph above, the down-to-earth real “me” will tell you, I’m a father, husband and full-time composer/producer/musician. I’ve landed some cool music placements over the years, and worked on some really great projects. More than talent, what has given me those opportunities have been RELATIONSHIPS forged with a genuine sense of HUMILITY and GRATITUDE. Of course HARD WORK and what I think is the secret ingredient, always being “an easy guy to work with” even during (especially during) challenges. Marlon Giobbons © 2018 All Rights Reserved.